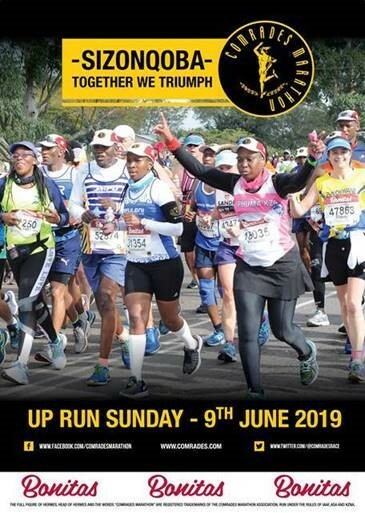 There are less than two weeks left before the 2019 Comrades Marathon Substitution Process closes. Substitution applications have been coming in thick and fast with many aspirant athletes wanting to secure their space on the Comrades start line. The Substitution Process allows for a runner who has not entered to substitute an entrant who has withdrawn or intends to withdraw from the 2019 Comrades Marathon. The Comrades Marathon Association’s (CMA) Race Director, Rowyn James has confirmed that 778 successful substitution applications have been processed over the past month. James says, we are pleased to confirm that since the official Comrades Marathon Substitution Process opened a month ago, we have had hundreds of hopeful runners submitting their substitution applications. We will effectively have that many more athletes participating in the 94th Comrades Marathon. James adds, In maintaining our Runners First Initiative, the process has been extended to run for an extra two weeks this year and will close on Monday, 15 April 2019. We therefore urge aspirant Comrades runners to get their applications in before the process closes. Athletes intending to submit Substitution application forms are advised to visit the official Comrades Marathon website at www.comrades.com for the downloadable forms and the comprehensive list of rules and regulations which govern the Substitution process. Substitutions can only take effect on a like for like basis, meaning SA runners can only substitute for SA entrants, Rest of Africa (ROA) for other ROA runners and International runners for International entrants. Prospective substitutes are encouraged to do their applications online. Alternatively, they may send their completed applications via email to sub@comrades.com or hand deliver them to Comrades House in Pietermaritzburg. Please do not post forms. The completed application forms as specified in the Substitution Rule must reach the CMA office by 15 April 2019. There will be no extension of this deadline and no postal applications will be accepted. The cost of the Substitution application is R300,00.